I made this for a presentation and I kind of like it, so I thought I’d share. Appraisal without acquisition is just wishful thinking. Acquisitions without preservation is just hoarding. Preservation without access is just stockpiling. If you’re doing all these things AND providing access, you’ve got an archives. Yeah, the design isn’t the best. Hooray for CC-licenses so you can improve it and share alike! 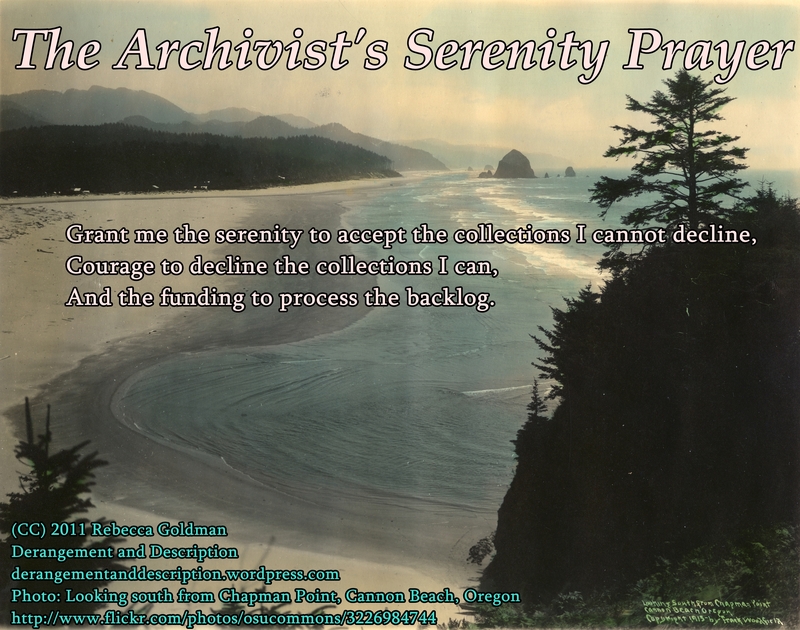 Archivists, sometimes you need to surrender to a power greater than yourselves, whether that’s your boss, the board of trustees, or a very pushy donor.